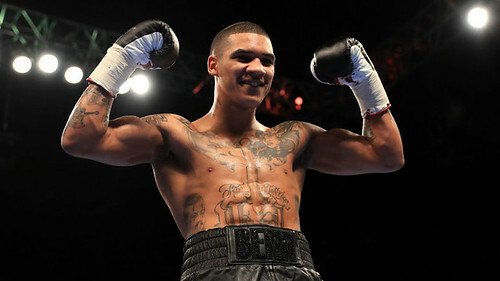 Conor Benn will be back in action on the undercard of Amir Khan’s return to the ring at the Echo Arena in Liverpool on April 21, live on Sky Sports. Benn’s last action was an incredible six round roller coaster against Cedrick Peynaud at York Hall in December where Benn hit the canvas twice in the opening round before flooring the Frenchman in the fifth and sixth rounds to edge an east London classic. ‘The Destroyer’ fights on Merseyside for the first time in the paid ranks as he aims to get to 12-0, and the 21 year old is excited to show the improvements he’s made since that electric night in Bethnal Green. “The fans enjoyed my last fight but that’s not the way I should’ve been fighting,” said Benn. “I got the win and showed heart to come back from the first round. The support in York Hall was amazing and it really drove me on. I’m 21 and I’ve come into the game as a kid, but I’ve been tested a couple of times already. Birkenhead’s Sean ‘Masher’ Dodd defends his Commonwealth Lightweight title against Tommy Coyle, and former Team GB Olympians Natasha Jonas and Anthony Fowler and unbeaten Super-Welterweight Scott Fitzgerald are all in action.